snake tongue, originally uploaded by jahansell. He wasn't fazed at all by my creeping closer and closer - this is the last of about 25 shots! 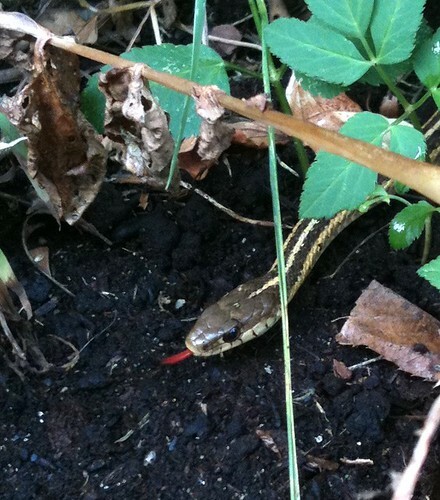 He's a good Guy, a Garter Snake and he hunts garden pests.